Namesake: The fourth letter of the Greek alphabet; an alluvial deposit at the mouth of a river; star. The first Delta, a steam tug, was purchased as Linda at Philadelphia 3 June 1864, and renamed Delta, 27 November. She was also known as Tug No. 4. 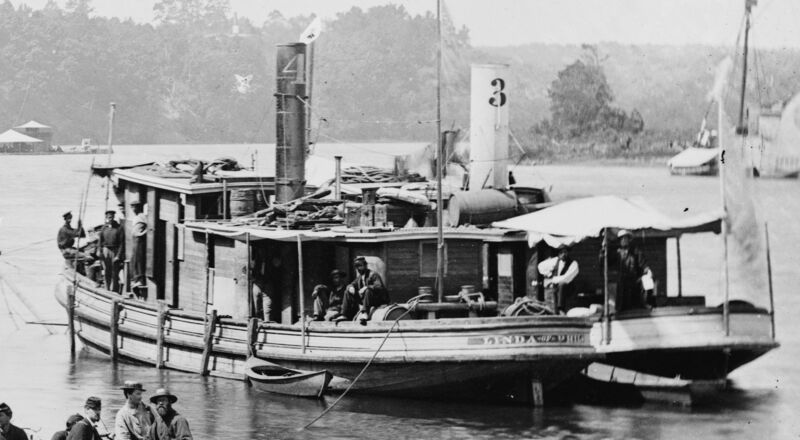 Delta was sent to Hampton Roads, Va., to be fitted as a torpedo tug, and operated in the James River under the command of Acting Master’s Mate William F. Gragg until 28 March 1865. She was transferred to the sounds of North Carolina for duty, and for a short time in April 1865 was placed at the disposal of the Army with four other torpedo tugs. Delta was sent to New York at the close of the war and sold there 5 September 1865.